Infralogix helps companies improve equipment reliability, lower maintenance costs, increase energy efficiency and reduce safety risks. Your resource for improved reliability. 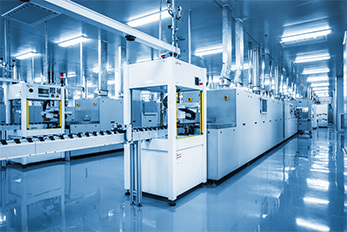 Higher reliability means less downtime and improved operating performance. More efficient and effective maintenance programs directly lead to lower costs. Cut energy losses and direct your budget dollars to where you need them. Meet your safety and compliance requirements. Electrical and mechanical system malfunctions are among the leading causes of injury and property damage. Infralogix provides a full spectrum of services to help our customers improve equipment reliability and operating performance, lower maintenance costs, increase energy efficiency and reduce safety risks. 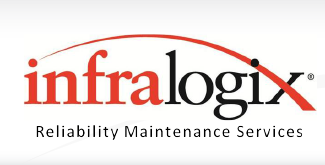 For over 20 years, Infralogix has been a trusted provider of reliability maintenance services for medium and large enterprises across diverse industries. Our trained, experienced and professional staff employs proven methodologies and state-of-the art technologies to ensure our customers receive the highest levels of service and quality results that matter. Ultrasonic Testing involves the use of an ultrasonic acoustical emissions detector that can capture sound waves above the range of human hearing. Mechanical equipment in motion generates a vibration signature at any speed or mode of operation. Infralogix employs a proven methodology designed to better leverage your system capabilities, improve your reliability program’s results and maximize your ROI. Infralogix can conduct a thorough review of your entire maintenance program, or select components, and develop plans that are optimized for your specific needs. Whether it’s help just to get started, maintain momentum for your program or just address peak resource demands, Infralogix can support your needs.